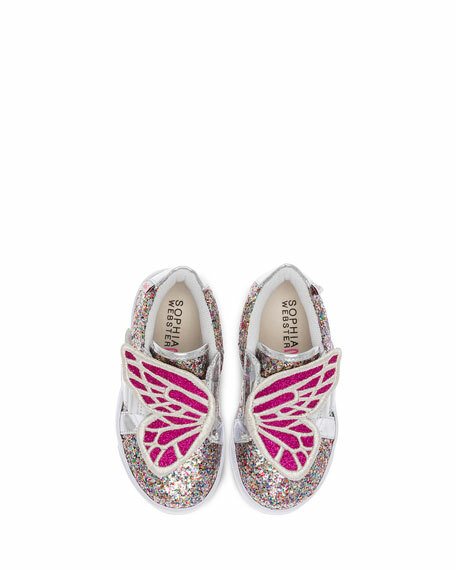 Sophia Webster girls' glittered low-top sneaker. Signature butterfly wing design at grip-strap. "Bibi" is made in Brazil. For in-store inquiries, use sku #2430047.